Nurse Managers and nurse administrators at all levels are frequently confronted by the need to manage employee issues arising from interpersonal relationships. These include: conflict (relational Aggression or covert bullying), cynicism (negative work attitudes), and calamity (drama and overt antagonism). 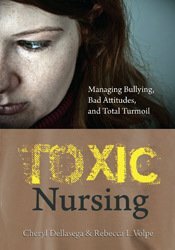 As a much needed follow up to When Nurses Hurt Nurses (STTI, 2011), this book offers numerous concrete strategies for common employee challenges that nurse supervisors face.